No fishing today, that's saved for tomorrow. I bought food and more bait to see me through the next few days piking this morning. 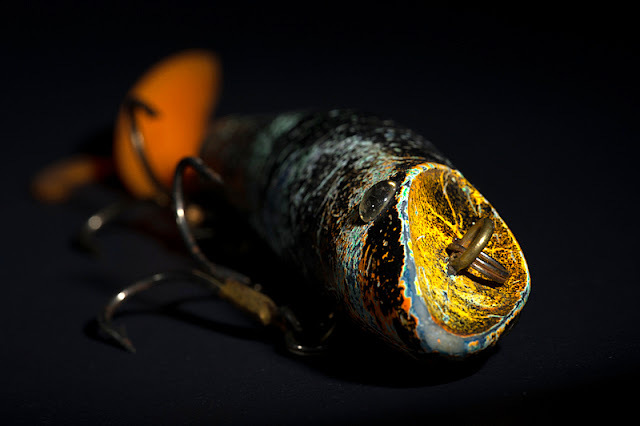 This afternoon I spent a short while messing around in my 'studio' trying to take portraits of some of my favourite (most successful) lures. This evening I tried some more lightpainting and thought it worked reasonably well on this Hawg Wobbler.